In no particular order, and not pointing out any specific commenter, here’s my response. I’m a Prius owner. My first Prius was a red 2009 model that, by the time I traded it in 2012, I’d racked up nearly 80,000 miles on. 80,000 very happy, issue-free miles. This is the same period that saw the accelerator pedal fiasco and subsequent recalls. In spite of this I’m still loyal to Toyota and have the attitude that a bad Toyota is a better vehicle than just about anyone else’s “good” vehicle. I was satisfied enough with the 2009 Prius that after months of looking at many other brands and models I bought not one, but two, 2012 Priuses, using the 2009 as a trade-in on mine (I got $18,000). Since that time I’ve managed to put a mere 61,000 miles on mine, while my wife has just 55,000. I don’t know what my wife averages MPG-wise, but I average in real day-to-day driving of between 50 and 55mpg, more on the freeways than the surface streets (in spite of the claims of the other way by Toyota). All of this after nearly four years of 2012 model year ownership. We intend to keep these Priuses until either they just die or else something better comes along. 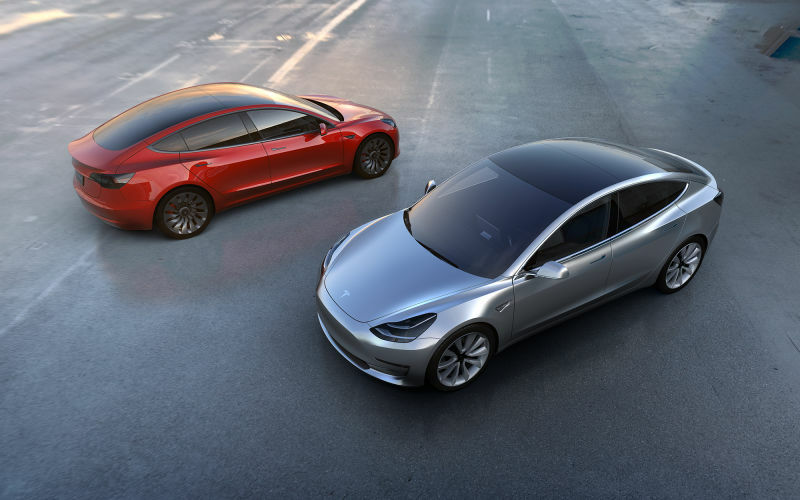 That something better might be the Tesla Model 3 or its follow-up. There’s a lot to like about the Tesla as well as the man behind Tesla. I appreciate both the 3’s styling as well as the technology. After owning the Prius for as long as I have, I’ve grown immune to the openly hostile and deeply uninformed criticisms, just like the same class of critiques aimed at the Tesla. I would consider buying a Model 3 because it would fit quite well into where I live here in Orlando Florida. The range is more than enough to visit either coast along I-4, and the climate is such I don’t have to worry about cold effecting the battery. The only reason I won’t buy an Model 3 is timing; financially I’m not in the market for a new car, and I’m not well-heeled enough to consider any vehicle an impulse purchase. But, if the Model 3 had been available in 2012, at least one of the Prius would have been a Tesla Model 3. One of the commenters decided to troll the others with a comment on mass transit. Here in America, mass transit is a mess. In other parts of the world, not so much. An example of excellent mass transit is Japan. Since December 2013 I’ve traveled to Japan four times, all on multi-week business trips. I’ve visited Tokyo, Osaka, and Sapporo. I’ve traveled quite a bit on Japan’s rail system, from the Shinkansen on down. They are all excellent to ride on. Japan does have considerable cars in its roadways, but it also has a rail system that moves considerable numbers of people quite efficiently. One interesting feature is how the larger train stations are integrated into the central city proper. The Japanese have built huge malls over and around those train stations, and they’re always packed with customers. Examples I’ve experienced are Sapporo, Shinjuku (Tokyo), Ikebukuro (Tokyo), Tachikawa (Tokyo), and Osaka. If you can’t find the right train, there’s plenty of busses and taxis. And if you can’t get somewhere directly, you can walk; things are close together. We used to walk a lot in this country, especially from bus stops to places of work, worship, and residency. We don’t anymore and it’s contributed mightily to our obesity problem. In all my travels, I’ve noticed far fewer overweight Japanese in a comparable urban setting than anywhere similar in America. America needs mass transit badly, and it needs a far deeper commitment to it than we currently give it. Mass transit fails in America because we want it to fail. There was one comment about how western cities grew up around the freeway. One western city in particular, Los Angeles, had an extensive street car system that served the core of the city quite well until it was purchased by National City Lines, whose owners included Firestone, Standard Oil (now Chevron), and GM. This led to the General Motors “streetcar conspiracy,” which in turn led to the dismantling of many city transit systems. We had a foundation for mass transit building up the first half of the 20th century, but it was essentially destroyed by Detroit. And when it became obvious we needed mass transit in those same cities where it was allowed to die in (such as Atlanta, where I was born), we’ve paid dearly in the second half of the 20th century rebuilding mass transit systems that have yet to reach the coverage of the older systems that were dismantled. I don’t know when it will happen, but the pure ICE (internal combustion engine) auto is coming to an end. Whether it’s meeting ever stringent carbon emissions, or the rising cost of the auto itself (inexpensive is now around $15,000), or changing demographics and desires, the pure ICE is either being replaced by hybrids and electrics, or it’s being eschewed completely by people who just don’t want the hassle and expense (gas, insurance, maintenance, tolls) of owning a car and prefer mass transit. There’s going to be a huge stratification in the next two to twenty years, where a good majority of people are going to give up their cars, leaving only the very well off to afford electric vehicles. We don’t have the resources (which includes the space to park them) to own and operate automobiles. I’ve been driving and owning my own car since I was 16 back in 1970. In spite of this, given a set of choices, I’d much rather own an electric, and if I were living in a society with decent mass transit, I’d give up my car and go back to rail and walking. I’d be a lot better off physically and financially.